A Nigerian couple have been arrested in the US after their 15-year-old son reportedly died during a 40-day religious fast. 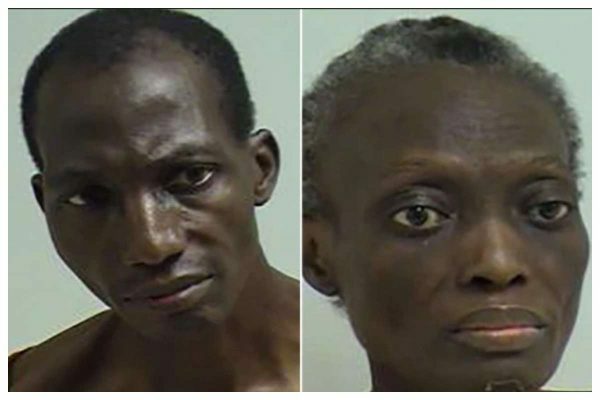 Kehinde Omosebi, 49, and Titilayo Omosebi, 48, of Reedsburg, were on Tuesday charged with child neglect causing death and child neglect causing great bodily harm. The father was said to have walked to the Reedburg police station on Sunday, to report his son had died on Friday, Chief Timothy Becker said. Investigators who went to the Omosebi home reportedly had to force their way in, as the doors was padlocked on the inside. No food was discovered in the home. They found the “extremely emaciated and deceased” teenager, and also found a gaunt 11-year-old child, along with his mother, Titilayo, who was also undernourished, according to the report. The father, Kehinde, told authorities that the family began fasting on July 19, and that he was a “religious minister affiliated with Cornerstone Reformation Ministries,” which is believed by police to have been made up. The mother and 11-year-old were transported to a hospital. The mother reportedly refused medical treatment due to religious reasons, and was taken to the Sauk County Jail. The child remains in protective custody at Children’s Hospital in Madison, while, according to Becker, the parents are eating while in jail.